Emerald Banjos is a very different kind of banjo maker. customer's specific and individual requirements yet always maintaining our individual and unique style. Occasionally we have stock banjos for sale. We, unlike any other banjo manufacturer can tailor a banjo to just you, although we show various banjo models for sale, we can modify and adapt any of these to suit you. During your first informal contact with us we will endeavour to ascertain exactly what kind of banjo you are seeking. Even if you don’t know much about the technical aspects of a banjo your input is critical to us because we want to give you the best service possible and create a banjo which you will treasure. Commissioning a banjo is a serious investment so getting it right first time is of paramount importance. We will take you on a very special journey, and with each stage you will be notified of your banjo's progress, photos will be emailed to you so that you can see exactly what is happening, these will also serve as provenance for you in the future. criteria gained from you, continuing communications with you throughout the manufacturing process will ensure that you are delighted with your banjo. Our advice and help at all stages is totally free and you may decide before manufacture starts to change certain aspects of the instrument or how you would like the banjo to sound, and we will do everything possible to accommodate your wishes. However we will try and make paying for your EMERALD banjo as painless as possible. The first step after commissioning us is to provide a mutually agreeable deposit, Depending on complexity, your banjo will take typically 2 to 5 months in the making, and during that time we give you the opportunity to make a series of stage payments. The choice is yours as long as we receive final settlement before your banjo is shipped or collected. satisfaction, we would rather lose money than have a dissatisfied customer. We love the banjos we create as though they were for our own personal use. Each banjo has had our total dedication poured into it. We also want you to treasure yours for life. 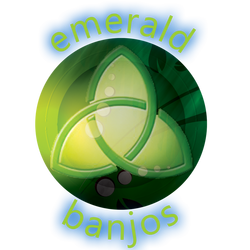 You can see what some people say about EMERALD BANJOS in reviews on the web, and in testimonials on this website. As part of our exclusive service we provide a trade in option, our banjos are so sought after that many customers ask if they can "trade in" their old banjo as part payment for their Emerald, well of course you can, just get in touch with us and have a quick chat and we will tell you what options you have, all banjos are considered. Ultimate Sound" have not just been conjoured moreover they reflect Emeralds unique look and sound. We began life many years ago and it has been a long hard slog to achieve what we believe is a simply beautiful banjo with the ultimate sound, many top performers and banjo enthusiasts alike have extolled their praise upon us both for our relentless endeavour to bring you that ultimate sound and the look that is so Emerald. It is a commonly held belief that the tone ring of a banjo is the heart or the basis of the sound of a banjo. The tone ring certainly has a major affect on why a banjo sounds the way it does. The character or specific type of sound of a banjo is most clearly created and defined by the tone ring. 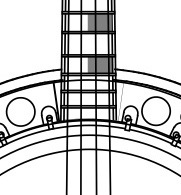 The wood in the rim and neck affect the colour, or warmth or brightness of the sound, but the tone ring really determines the basic voice or character of the banjo. materials that comprise the tone ring can have a profound affect on the character of sound of a banjo and changing any ingredient will change the sound to some degree. We would like to thank you for simply visiting our website and showing an interest in this very special instrument, we hope you've enjoyed it and if nothing else learned a little bit more about this totally addictive, absorbing and exclusive instrument. 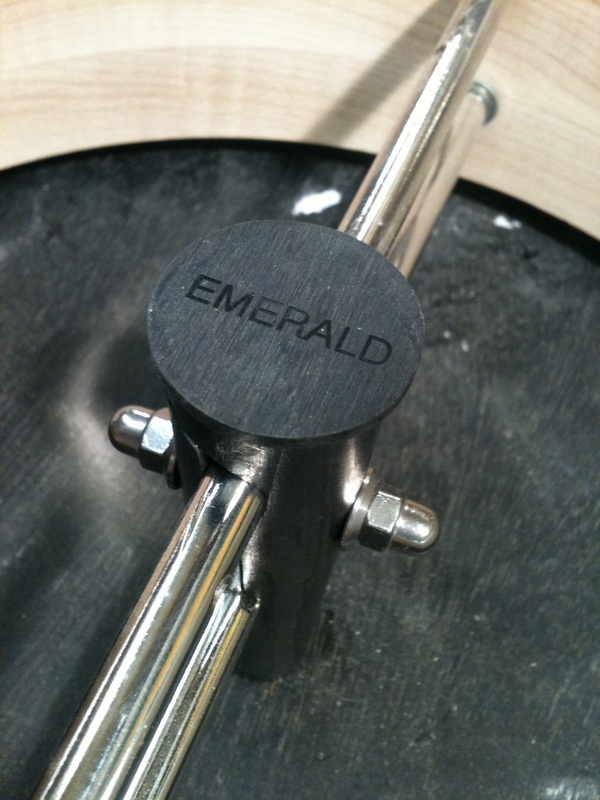 Not only do Emerald Banjos sound fantastic they look pretty spectacular too and unlike any other banjos available today.